Ticketmaster announced a new date for the upcoming Beyonce and Jay-Z tour! 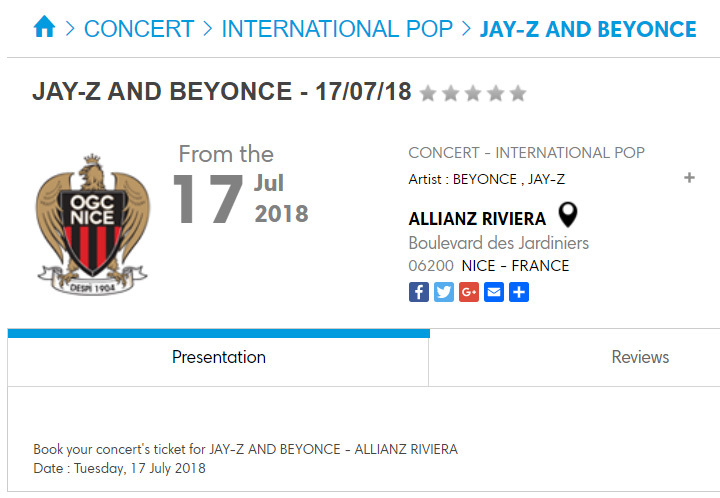 The concert will take place on July 17, 2018 at the Allianz Riviera stadium in Nice, France. 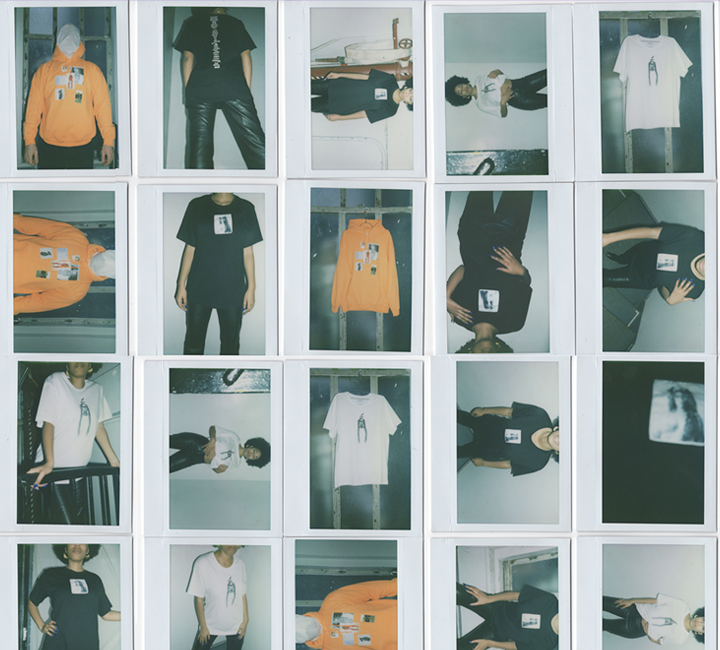 The tickets will be available here. Speculation about a Bey + Jay tour had been rampant since Feb. 22 when a fan spotted U.K. and North American landing pages for a 2018 stadium tour on Ticketmaster, which were also quickly erased after being publicized. 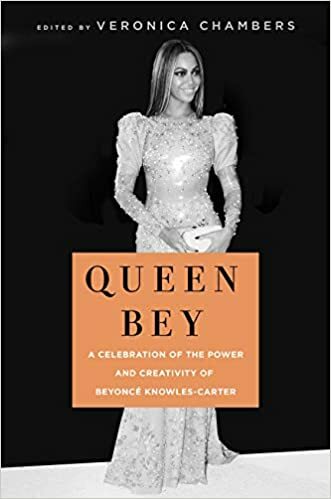 The famous couple last toured together in 2014 for the On The Run tour and their 2018 outing is being billed as a sequel to that 19-show jaunt. Tuesday’s revelation comes via screen grab of Beyonce’s Facebook page, showing a July 30 concert in Philadelphia at Lincoln Financial Field. Once discovered, both the Ticketmaster and Facebook information was deleted. Waiting until April 22 (the Monday after Coachella) would give her 98 days to announce, sell tickets and market the Philadelphia show, which would be shorter than the window needed for most stadium tours, but would probably be enough time since there is likely to be strong demand for the co-headlining show. There's also the possibility the leak was a planned marketing stunt to generate buzz for the event and remind fans to set aside a few dollars, especially with a busy 2018 summer taking shape with stadium jaunts for Dead and Company, Pearl Jam, Ed Sheeran and Def Leppard with Journey. Beyonce Announcing Tour With Jay-Z? Looks like Beyonce is about to announce a tour with Jay-Z! The singer's Facebook page was updated with a new event - Beyoncé & Jay-z - On The Run 2. The concert is set to take place on July 30 at the Lincoln Financial Field in Philadelphia. Tickets will be available on Ticketmaster. UPDATE: The event and Ticketmaster page have been both deleted so it looks like we'll just have to wait and see what they're planning! 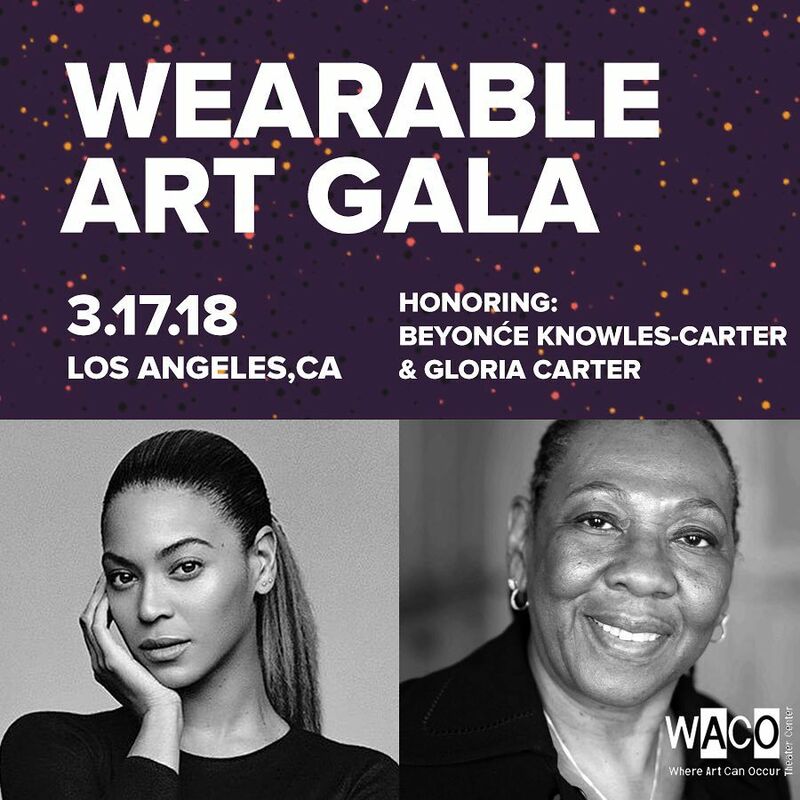 Beyoncé will receive the WACO Humanitarian Award at the 2018 Wearable Art Gala benefiting WACO Theater Center. The event will take place on March 17 in Los Angeles. Tickets are available here.